Rosemary is one of the most versatile herbs around. A great culinary herb, but sniffing its scent can be beneficial in enhancing memory. This versatile Herb is native to the Mediterranean area and prolific around the coastal area. A member of the mint family it has been called “Dew of the Sea” deriving from the Latin word Ros – Dew and Marinus – of the sea Rosmarinus. It has a bittersweet flavour with a piney aroma and plays a vital part in many culinary dishes. Traditionally, used with poultry, fish, chicken, lamb, and pork it is wonderful with roast potatoes or even used to flavour herb bread and stews. It can have a strong flavour so used it sparingly. One major difference when cooking with Rosemary compared to other herbs is that it can withstand longer cooking times. So rather than adding this herb towards the end processes as you would with most herbs it can be added at best during the middle stages of cooking. The versatility is incredible, not only as a culinary herb but also with a long history in many different rituals. Rosemary grows in abundance on the Gallipoli Peninsula; it has a powerful significance for many Australians. When celebrating ANZAC and Remembrance Day, sprigs of rosemary is traditionally worn in remembrance of those lost in battle, for example, the many brave and dedicated soldiers during the Battle of Gallipoli. Being a symbol of remembrance, the tradition of laying sprigs of rosemary on the coffin or tomb sites is still popular to this day. During the middle ages, Rosemary signified love and loyalty and as such, the bride’s headpiece was made of Rosemary or has it added as part of the headpiece. While the groom along with their guests would wear a sprig of rosemary upon them. Rosemary is used in many lotions, cosmetics and even in soaps. To this day, the extract of Rosemary is still included in many products mentioned above. As you can see, Rosemary has many purposes outside of the culinary department. So we have seen how Rosemary can be used in cooking along with the many varying used this herb has had over the centuries. However, it does not stop there is more much more. 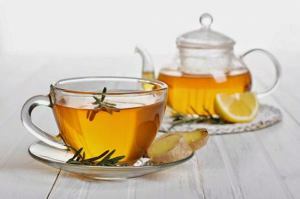 Since the ancient times, Rosemary was a major factor when dealing with the health of many people. The medical properties within Rosemary are astounding. They range from improving memory to boosting the immune and circulatory system including helping the growth of the hair. In both ancient and the modern era, Rosemary has been an essential herb that can help treat a variety of health issues. Throughout history, this amazing herb has always be recognised as a memory booster and in helping brain function. This is most likely due to the fact that Rosemary helps to increase circulation by increasing the flow of oxygen-rich blood to the head. This is also why it has been used as a remedy for headaches along with helping treat painful joints and stiffness over the centuries. Rosemary helps prevent the breakdown of the chemical Acetylcholine, of which one aspect is involved with memory and learning. A 2013 study has found that inhaling the aroma of rosemary can improve the memory by as much as 75 percent. This is great news for those suffering from memory issues such as dementia as well as helping to lift one of depression. Perhaps this is the reason why it has also been considered and used as a headache remedy. Rosemary contains a powerful antioxidant called Carnosic, which help to protect the brain from Free radical damage. Free radicals when they become out of control, are linked to disease such as Alzheimer’s, Parkinson’s also affected victims of stroke. Conditions such as Parkinson and Alzheimer’s have shown some improvement due to the Carnosic found in this herb. More studies are required in dealing with such conditions that affect the mind and brain. However, this is looking quite promising. Within the body, there are good and bad bacteria. Rosemary works great as an antibacterial and antiviral herb. We know from above, how rosemary helps to stimulate the flow of oxygen-rich blood not only to the head but also within the body. As such, it helps to cleanse the blood thereby controlling the growth of pathogenic bacteria without harming the beneficial bacteria (the good bacteria) in your body. Many times taking antibiotics can also promote an opposite reaction to other issues. Such issue is that antibiotics can promote yeast infections not only in the gut. There is also the issue of genital yeast infections of which more women are susceptible, however, men can also be infected. People with diabetes and weak immune systems can be more susceptible to yeast infections as well. Rosemary has powerful anti-carcinogenic properties. Due to this reason, studies are finding effective ways of treating cancer in the near future. With research conducted on rats, it was found to prevent the effects of carcinogens by 76 Percent and decreased the incidence of tumours in the mammary glands. 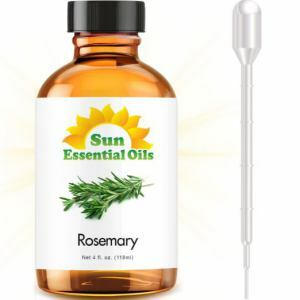 Any damage that has been caused by the ultraviolet radiation was found that rosemary or its properties can help to decrease the chance of developing skin cancer. These are powerful actions by such a versatile herb. There are many ways that we can incorporate rosemary into our evolution to better health. The most common way is using Rosemary with various culinary dishes as stated at the beginning. Add two teaspoons of this wonderful herb to a pot of hot water and steep for 10 minutes. Then drink it before your meals, which will also help in improving the digestive functions as well. Make your own herb bread by adding the herb to the butter like you would with making Garlic bread. Better still combined both Rosemary and Garlic that will boost and give more benefits to the body. If you love being in the kitchen, make your herb bread from scratch and mix the herb with the ingredients. Essential oils have been used in aromatherapy for varying purposes, one being the help relax the central nervous systems thereby create a stress-free environment from within. The scent of rosemary can not only boost the memory but also help to relax and enhance the mind. One great way is to use the essential oil with a steam inhaler or vaporiser. Just add a few drops and inhale the vapours that will help you to relax and take the stress out from your busy day. 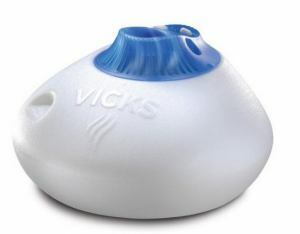 Steam inhalers are great for an individual; however, use caution due to the steam being close towards the face especially when young children may be involved. Personally, I prefer the vaporizer, that way the whole room is filled with the aroma of Rosemary and if you have a family, all can benefit at the same time. If you have kids, this will surely help reduce the stress within the home. There are many types of Steam inhalers and vaporizers on the market, but these two pictured above are the ones used for many years at home for my whole family. All that is required is to add a few drops and when using the steam inhaler just breathe naturally. With the vaporiser ensure that windows are closed and allow the vapours to fill the room to allow for easy breathing for all concerned. 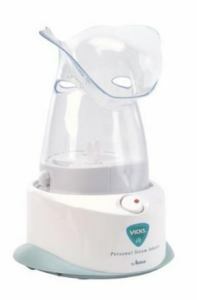 With the vaporiser ensure that windows are closed and allow the vapours to fill the room to allow for easy breathing for all concerned. Do you use Rosemary in your foods? How about using Rosemary as an essential oil? Perhaps you have some other benefits others can hear about. If so, let us know so others can benefit from your great thoughts, views, and ideas. In the meantime, blessings to you may you find success in all you do.